The history of British coalmining in the 20th century is full of spaces which are inextricably linked to health. Miners’ crowded homes, the newly-installed pit-head baths and entire villages became political sites which affected the health of the workers of this notoriously dangerous industry. Most notably, the miners’ rehabilitation center stands out as an astonishing example of the intersection of industry and medicine. Often lushly converted from country mansions, the centers were devoted to the medical treatment and recuperation of injured miners with a view to the men’s swift return to work. These buildings should be recognized as an important example of the tangled relations between workers, unions, owners and healthcare professionals. Historian Roger Cooter, for example, describes the Miners’ Welfare Commission, their administering body, as an exceptional force that ‘occupied anomalous ground between labor and management, capital and the state’. The Miners’ Welfare Commission was the product of the 1920 Mining Industry Acta piece of legislation that started with the general aim of reorganizing and regulating the coal industry and ended up setting the basis for a new movement in industrial medicine. The Act established a fund into which every coalowner in Britain would pay into, for the “social well-being, recreation and conditions of living of workers” in the coalmines. The Miners’ Welfare Fund was formed and the central Miners’ Welfare Commission and its local committees became powerful organizations composed of miner, coalowner and governmental representatives. In practice, the Fund was used variously to fund welfare halls, education programs and sport, all of which changed the social landscape for mining communities. Competing for funding alongside these were provisions for injured, aged and disabled coalminers. The Miners’ Welfare Commission wrote in their 1940 overview of their work to date, Mining People, that the fund could be used to finance everything from ‘convalescent homes to bagpipes for a band of kilted miners; from glass eyes and artificial limbs to institutes and community centers’. Convalescent homes for injured and aged miners became an immediately popular use of the Miners’ Welfare Fund, so much so that within the first seven years of the Fund, the number of schemes submitted to the in this category reached 23. These placed medical provision for disability within the wider function of being a resting area for workers and ex-workers of the industry. A number of the homes were singled out as particularly impressive: Kirkmichael in Ayrshire and Talygarn in South Wales – both set up in 1923 – provided convalescence in converted mansions each with over 100 acres of land, a striking environment in contrast with the dark coalmines from where the patients had either retired or met with their injuries. The Ayrshire home, along with those in Derbyshire and Mansfield, also provided for women and children, further adding to the importance of these centers across mining communities. This was not a new idea. Convalescence, as Eli Anders has shown, chimed with Victorian ideals of urban sanitation and fresh air, and indeed some miners’ homes predated the Fund. 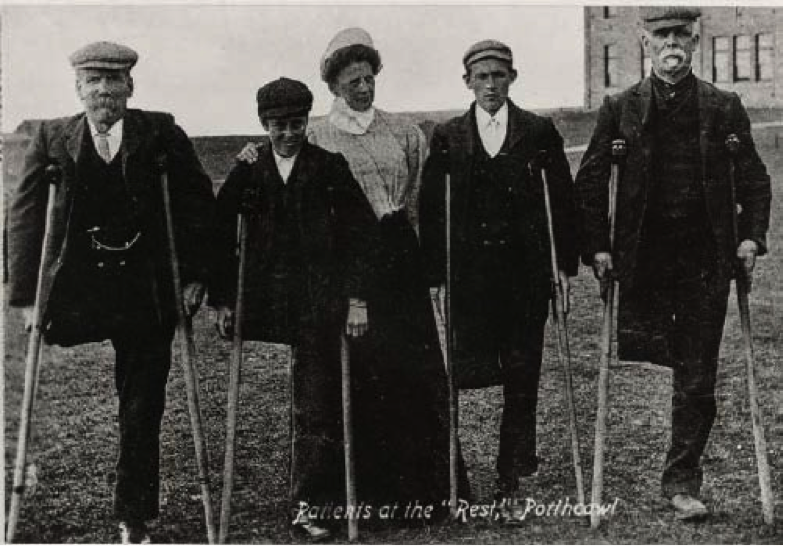 A drive from philanthropists in South Wales as early as the 1860s led to the creation of The Rest, a convalescent home at Porthcawl which became an important location for miners who had been permanently injured at work. But the homes soon found themselves dealing with ever-increasing numbers of permanently injured patients. Analyzing ‘the nature of the Diseases’ of patients printed in The Rest’s 1887 Annual Report, the largest proportion of disabilities were classed as a ‘debility left by illness’. 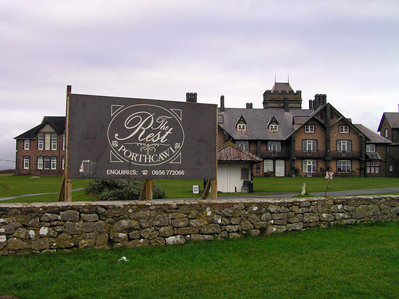 The Rest convalescent home, Portcawl, which only recently closed as a hotel. The all-encompassing convalescent homes could not function as the only industry-specific institutional spaces for disabled miners, and a separate movement started in the 1940s focused specifically on providing medical care and occupational therapy to disabled miners. New centers, often formed in closed-down convalescent homes themselves, were founded to provide orthopedic care for industrial injury. 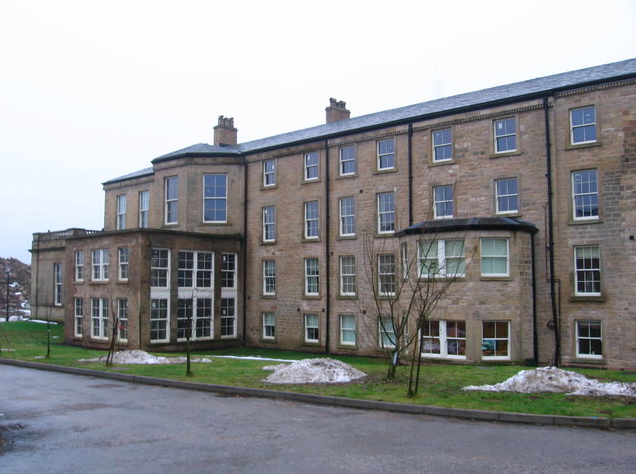 An early example was Berry Hill Hall in Mansfield, established in 1940 to cater specifically for the rehabilitation of those disabled by an injury with the express purpose of returning them to work. The rehabilitation movement continued to grow. A government White Paper on Coal in 1942 drew attention to rehabilitation, and by the end of 1944 there were eight centers which included new, converted country mansions in Northumberland, Durham and Cheshire. The rehabilitation centers both offered occupational therapy in the centers and prepared its patients for a return to work, explicitly treating mining work as a healer itself. Demonstrating their commitment to the idea, Talygarn rehabilitation center in South Wales installed a replica mine to help its patients prepare to return to the pit. This all happened against the background of World War II, in which the coal industry experienced a major labor shortage. ‘Rehabilitation treatment has long been advocated in medical circles, but it has taken the war… to demonstrate, fully, its worth’, proclaimed the Miners’ Welfare Commission in 1945. Their approach to recovery was specifically informed by the economy of labor, with each patient being primed to return to work as soon as possible. Government-produced films presented the centers as essential for returning to employment and restoring a person’s ‘usefulness’. 1942’s Life Begins Again ends with the declaration that each patient will be found ‘the most skilled job they can manage’ after treatment, allowing them to ‘come back to life as a useful citizen’. They Live Again! was a short film shown in cinemas to showcase the Talygarn center. Its title (perhaps more befitting a zombie movie) insinuates that life for injured workers was not worth living without treatment and the value of work. Its final shot is a triumphant scene of a patient holding a safety lamp and going back into the mines as a ‘useful and normal citizen’. The miners’ rehabilitation centers deserve analysis from historians as an important space for the development of concepts of disability and gender, linked explicitly to work. Yet they by no means represent the medical provision available to all communities. Places were limited and the Miners’ Welfare Fund could not cater for everyone. The MP Arnold Talbot Wilson and academic Hermann Levy wrote in their 1939 book, Workmen’s Compensation, that the Fund’s activity ‘only touches a tiny section of the working-class community which is liable to injuries by accident or disease’. Even more of a problem for this kind of historical work is finding patients’ own perspectives on their treatment, and comparing these statements with the statistics and government propaganda. 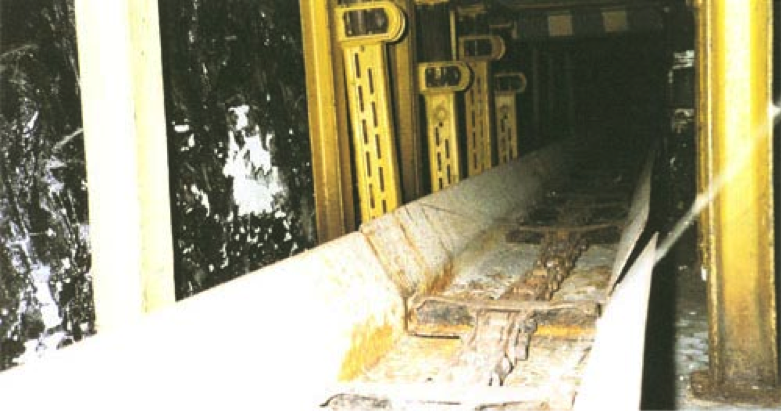 Cooter suggests that these remedial spaces may have been seen by miners as conveyor belts to employment or safeguards against union militancy, ‘in terms of management manipulation and co-option, rather than… alternatives to the permanent loss of livelihood’. The suppressed voices of the miners recovering in the centers themselves might, we hope, emerge through further research. Many of the buildings are still standing, though not as medical institutions. The Rest in Porthcawl operated as a hotel until its recent closure. The Talygarn centre, the subject of a 1990s campaign to save a center whose heritage ‘belongs to Wales’, is now a block of luxury homes. State-funded miners’ welfare continued after the nationalization of the British coal industry in 1946, and the legacy of the rehabilitation centres and the Miners’ Welfare Fund continues even with the almost entire dissolution of the industry. Today’s Coal Industry Social Welfare organisation sees its charitable work as a continuation of the ideals of the Fund. For now, it is clear that these spaces were important sites of changing understandings of disability and work. They brought workers together and viewed the work of coalmining – one of the most dangerous, strenuous occupations in industrial Britain – as their cure. Mike Mantin is a Research Fellow at Swansea University for the Wellcome Trust-funded project Disability and Industrial Society: A Comparative Cultural History of British Coalfields, 1780-1948 (www.dis-ind-soc.org.uk). His PhD research was on the Cambrian Institution for the Deaf and Dumb and deafness in Victorian and Edwardian Wales. Roger Cooter, Surgery and Society in Peace and War : Orthopaedics and the Organization of Modern Medicine, 1880-1948, Science, Technology, and Medicine in Modern History (Basingstoke: Macmillan, 1993), p.215. Miners’ Welfare Commission, Mining People: An Account of the Work of the Commission, 1920-1945 (London: HMSO, 1945). Miners’ Welfare Committee and Viscount Chelmsford, The Miners’ Welfare Fund (London: HMSO, 1927). The Rest Convalescent Home, Porthcawl, Annual report 1887. Miners’ Welfare Commission, Mining People. Arnold Talbot Wilson and Hermann Levy, Workmen’s Compensation (London: Oxford University Press, 1939), ii, p.108. Cooter, Surgery and Society, p.210.